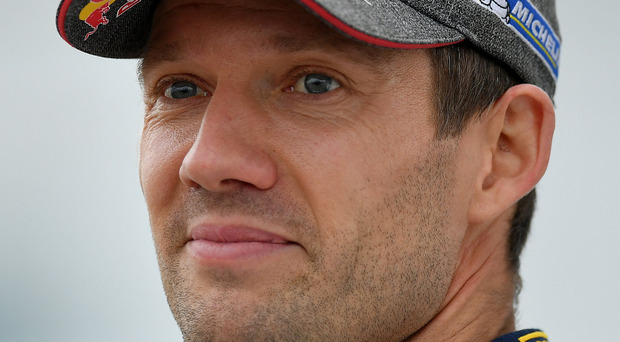 An emotional Sebastien Ogier won his sixth straight World Rally Championship when a dramatic final day of the season in Australia ended the title hopes of his two closest challengers. The Frenchman, in his last rally for the M-Sport Ford team, before a move to Citroën, started a wet final leg needing to hold his sixth place ahead of Thierry Neuville, while overnight rally leader Ott Tanak also had an outside chance of toppling Ogier. Instead it was Neuville and Tanak who failed to finish, with Neuville clipping a tree in his Hyundai with three stages remaining and Tanak running off the road in his Toyota on the second-last stage. Neither was able to recover, the dual retirements assuring Ogier of another title and he sealed it in style, blitzing the seven-kilometre Wedding Bells Power Stage to finish in fifth place and claim the five bonus points. Toyota's Jari-Matti Latvala was the overall rally winner, beating Hyundai's Hayden Paddon by 32.5 seconds, to claim his first victory in two years. Latvala's win also helped Toyota's secure the manufacturers' title and he and Tanak will be joined in the Finland-based team by Kris Meeke. "It's been an incredible season, so close. Not so long ago we were thinking it was going to be tough to grab this title but we never gave up. We gave everything, with a fantastic team behind us who kept fighting," said Ogier. "I really enjoyed one last push in this fantastic car - I hope I'm not going to miss it," added the champion who will replace Meeke next season. Behind Paddon, who was partnered for the last time by Seb Marshall, widely tipped to be Meeke's new co-driver at Toyota, Mads Ostberg claimed the final podium place for Citroen but Craig Breen had a nightmare rally. The Waterford driver finished seventh but, despite a bright start when he held second place, he was never able to master the difficult Aussie conditions and on the final day alone he was off the road five times in six stages.